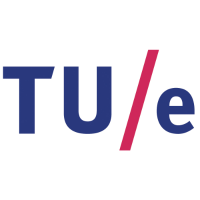 “Urban Systems and Real Estate” (USRE) is a unit of the Built Environment (BE) Faculty of Eindhoven University of Technology. This unit includes 3 chairs namely Information Systems, Urban Planning and Real Estate. The BE faculty focusses its research and education on a sustainable, energy-neutral built environment, with recourse to information technology and new materials. Within that context, USRE deals with teaching and research in the field of planning, development and management of cities and large-scale urban artefacts such as urban redevelopment areas, shopping malls, urban green spaces and offices. USRE has two main objectives which are to develop innovative design and decision support systems/models and also improve the existing systems/models for applications in architecture, building and urban planning; and to play an active role in the dissemination of such progress to wider communities of architectural, building and planning practice. These activities result from collaboration of different disciplinary areas such as architecture, urban planning, computer science, artificial intelligence, civil engineering, social psychology and statistics. Within ROCK project, TU/e will lead the large scale demonstrators in Replicator cities together with the University of Bologna, assisting the cities in developing their demos actions using innovative tools and technologies placed at disposal by industrial partners. The sole responsibility for the content of this website lies with the ROCK project and in no way reflects the views of the European Union.